28″ wheels with Schwalbe Marathon Supreme tyres featuring a puncture resistant belt and reflective side walls. 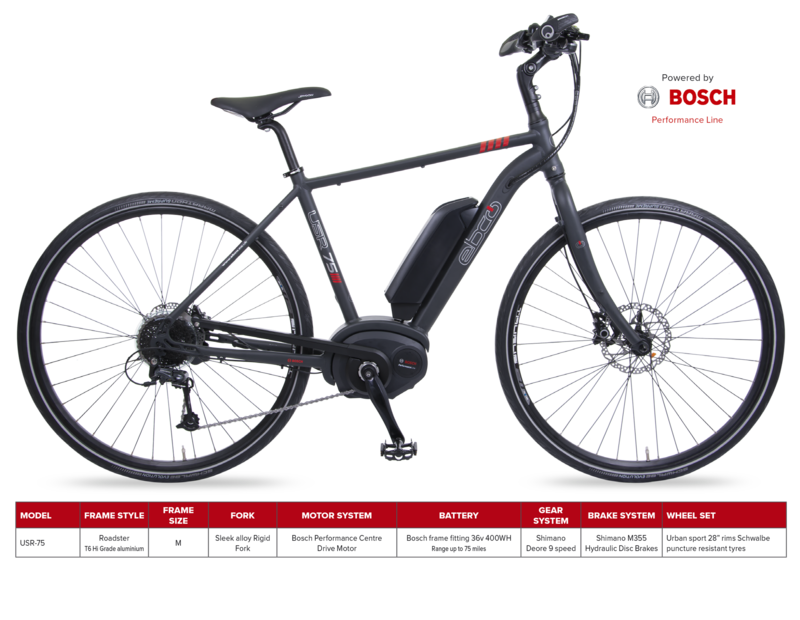 Bosch Performance Centre Drive motor with 4 power assist modes and incorporating the Intuvia handlebar mounted informative information Centre. Weight of bike including battery: 21Kg Approx.